The Mercure São Paulo Paraiso hotel is next to Av. Paulista, one block from Paraíso metro station and opposite the São Paulo Cultural Center. The hotel is a few blocks from Paulista shopping center and a few minutes from Congonhas Airport. 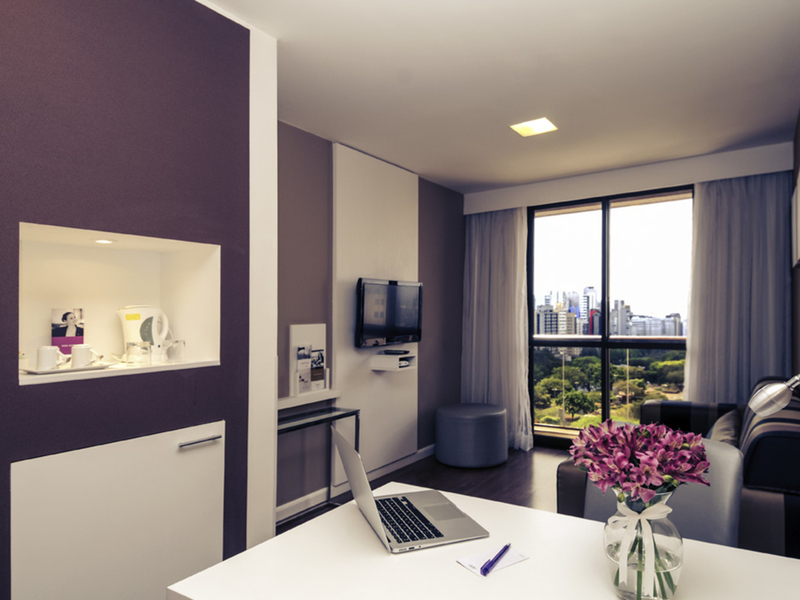 Its strategic l ocation enables easy access for those keen to visit the Liberdade area, São Paulo's Japanese district with its typical restaurants and stores, and Ibirapuera Park, which is just a few miles from the hotel. Our team is on hand to advise you on the best restaurants, theaters, cinemas, museums and everything that the capital of world cuisine has to offer you, all close to our hotel. Easy access to the Oswaldo Cruz and Beneficência Portuguesa hospitals. Just 547 yards (500 m) from Sebrae's São Paulo headquarters. Close to the UNIP, UNINOVE, ESPM, FIEAP and FMU university campuses. One block from the São Paulo Heart Hospital. Near to the Liberdade district.